People sitting in old leather chairs, stirring their coffee while looking into tattered ancient books. A warm fireplace, the embers crackle and a little indoor fountain is dabbling happy away. 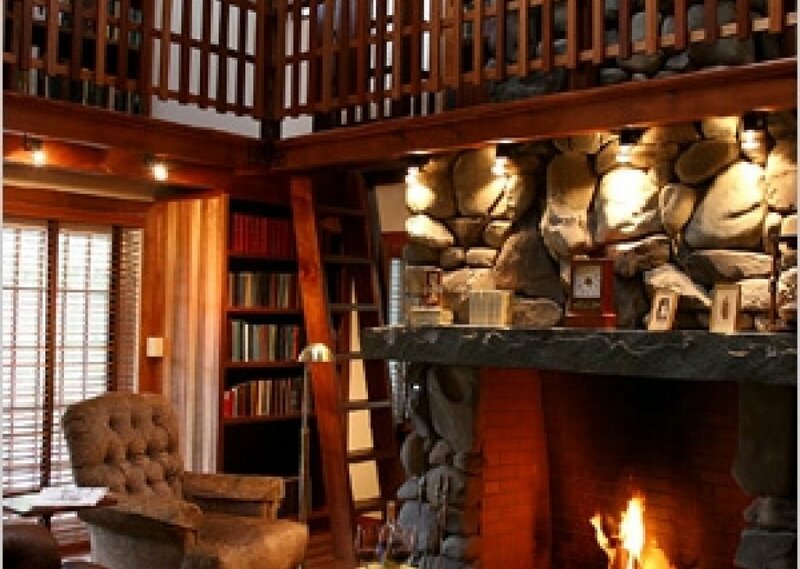 There's just no better place to sit down and read a book.